We all know the very famous singer, Elvis, who has ruled our hearts with his voice and style of singing. We, fans, not only wish to hear him again and again, but also wish to become like him. Though we might not be able to get his traits, we can certainly get the looks he has. We can get into Elvis costumes that come in various styles and sizes for people of different age groups. For kids, you might even want to arrange a birthday party with the Elvis theme. Description: Become Elvis, the music king, in style. Be different from the rest. Become a mini Elvis this time. This costume includes foam singer body and stage tunic. It does not include wig, sunglasses, shirt, gloves, pants or shoes. Description: Enter like a Rockstar! Dazzle the eyes of all those who are watching you by wearing this gold satin Elvis suit. This costume includes jacket and pants. Shoes, wig, microphone, and shirt are not included with this costume. 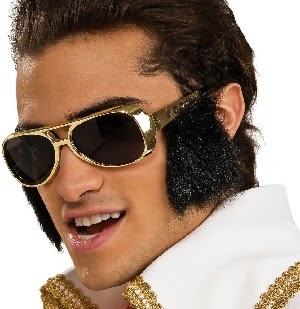 Description: Make a grand entry into the party while you are wearing this Elvis grand heritage costume for adults. Elegant yet stunning is what describes this attire the best. This costume includes jumpsuit, belt, and scarf. Shoes and wig are not included. 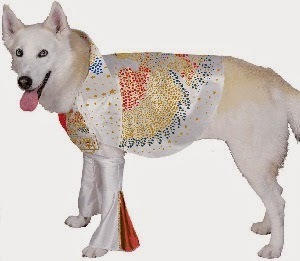 Description: If you are a girl and an Elvis fan, then you too can dress up like him by getting into this Elvis costume. It would help you fulfilling the secret wish of looking like your favorite singer. It includes Jumpsuit and scarf. It does not include glasses, earrings or shoes. This is an officially licensed Elvis product. Description: If your kid is a fan of Elvis, the amazing singer, then you may think on getting him an Elvis costume for a theme party or any other occasion. It would prove to be the best surprise for him. This costume includes jumpsuit, belt and scarf. It does not include wig or shoes. Description: If ordinary is not your choice and you want your kid to look extra-ordinary for the party or gathering where you ought to go, then this deluxe Elvis costume would be perfect for your little one. It includes jumpsuit, belt and scarf. It does not include sunglasses, microphone and wig or shoes. Description: Are you an Elvis fan? Get your family ready to show it off to the world that you are the biggest fan. 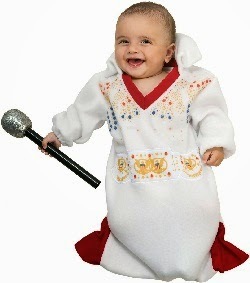 You can get your tiny one dressed up in this Elvis bunting costume for an event. This costume includes bunting. This is an officially licensed Elvis costume. Description: The hairstyle of the singer marks the difference in his appearance. 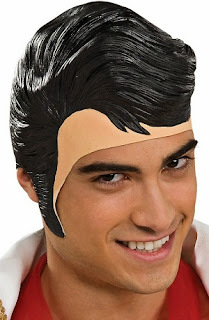 Get this wig with sideburns to get the complete look of Elvis, the famous one. This product includes rubber wig. Costume not included. Description: His style makes him what he is now and his glasses add to the uniqueness of Elvis. They are as important as any other accessory to get the desired Elvis look. 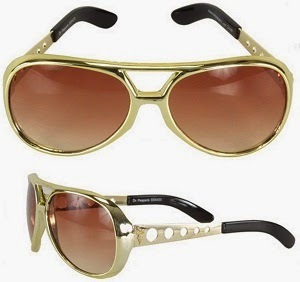 This product includes a pair of gold rimmed Elvis Presley glasses with brown tinted lenses. Available in One-Size Fits Most Adults. This is an officially licensed Elvis Presley™ signature product. Description: We know that his sideburns and his glasses both are unique features in his dressing style. So how about combining both of them? Here are Elvis glasses with sunburns to serve your needs at one place. This product includes: glasses/sideburns. Material: Glasses: 100% Plastic, Sideburns: 100% Synthetic Hair. 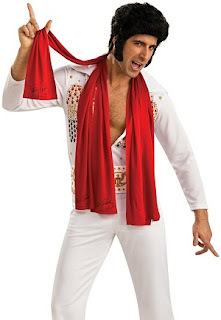 Description: We have always seen Elvis carrying a scarf with this signature costume. You can get these scarves too along with your costume. The package includes scarves (3 pieces). Description: A singer without his microphone looks incomplete. Get a step ahead and get Elvis microphone with speaker to match your Elvis attire for the grand party you have been waiting to attend. 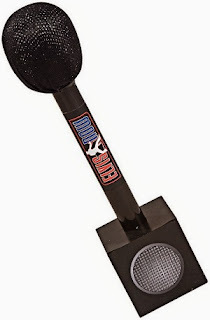 This product includes microphone with speaker for MP3 device. Description: A family always portrays togetherness and is often used as a symbol of unity. Show that your family is the best example to prove this statement by getting the Elvis dog costume for the important member of the family. This costume includes jumpsuit and cape. With the increase in the number of fans of the famous singer, Elvis, we have introduced the above mentioned products into our stocks. You might find the post useful while you are looking for the perfect Elvis appearance for a party or gathering. There are more products you might find interesting, check them out here!